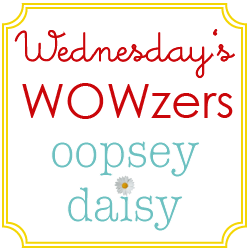 If you've been one of my original Oopsey Daisy followers (I mean one of the absolute first!) you will remember this post. 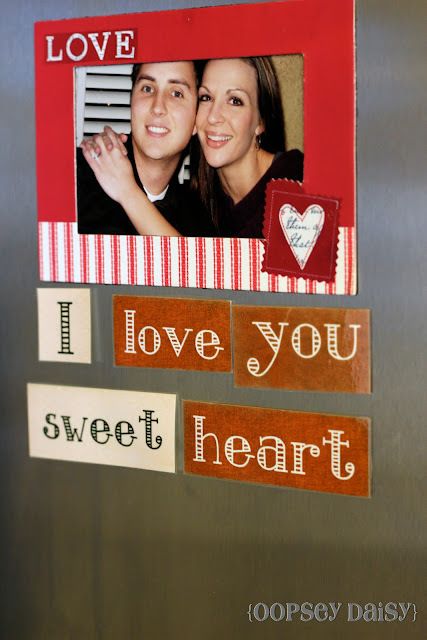 These Valentine's Day conversation heart magnets first put my wee blog on the map! 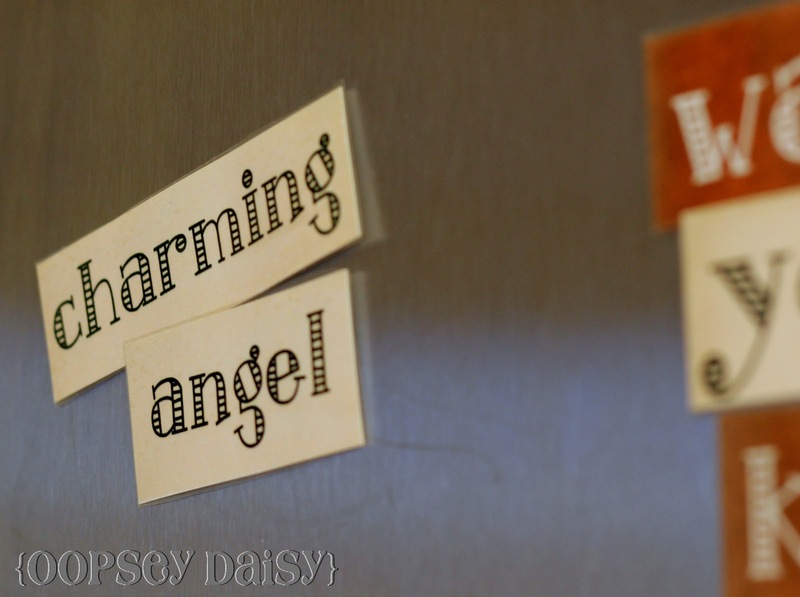 Well, I just unpacked them and they look lovely on our stainless steel refrigerator. If you're interested in creating your own fun messages on the fridge, you can download them below! 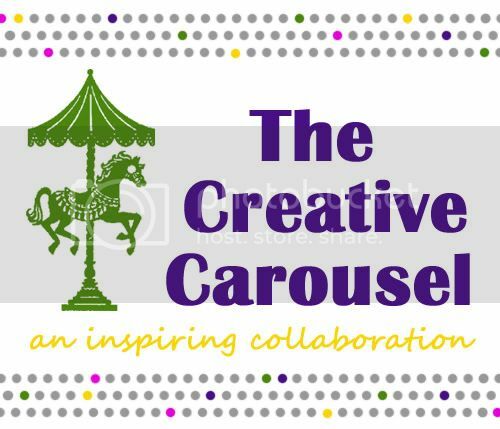 The fun fonts I used for this project come from DJ Inkers. Fonts copyright Dianne J Hook. Used with permission from DJ Inkers. You can download your own set of conversation heart magnets here. Enjoy! How cute!! 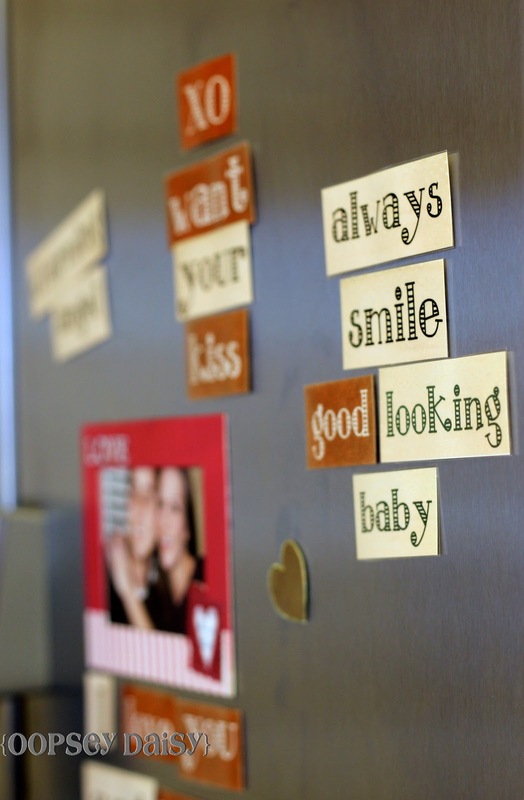 I love the papers and the font (and that super cute frame). 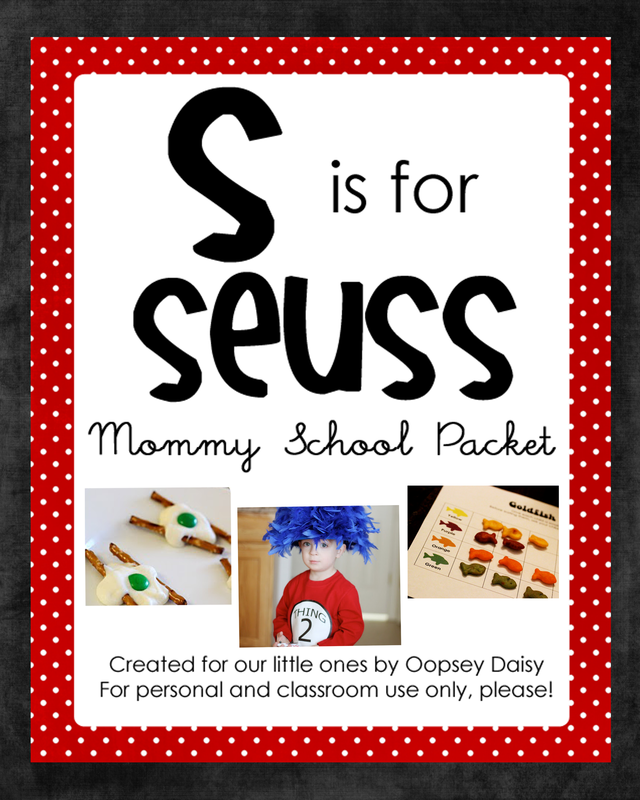 Such a fun and cute idea! While I wasn't one of your first followers, I will admit that I went back and looked at EVERY post you'd written when I did find your blog. I love your cute projects. I remember this! Love it! Never got around to it this year, but its in my plans for this year. Thanks for the reminder! This is really cute. For my first time visiting this is a great start. 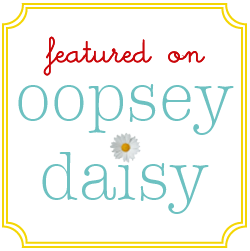 Thanks for stopping by my blog so I could find yours! Thanks for writing such an easy-to-undesarntd article on this topic.